Butterfly is a small wall lamp that was designed in 1964 for Høvik Lys and later produced by Arnold Vik of Norway. 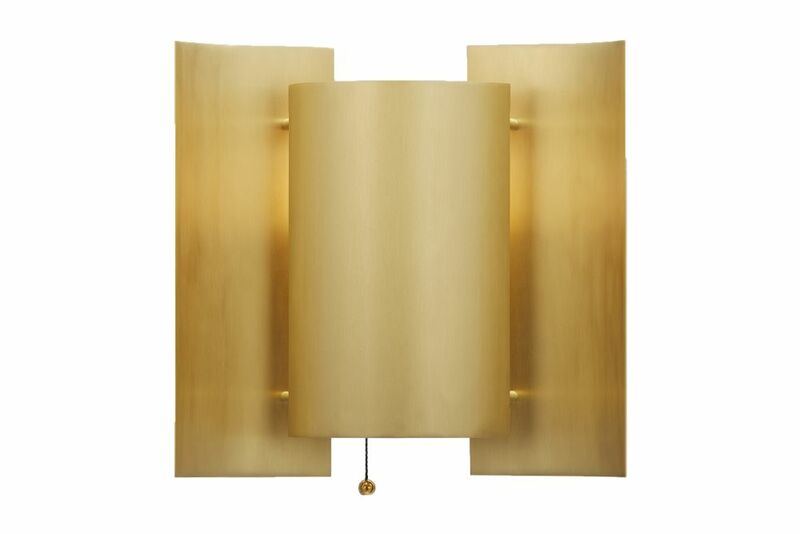 In 2008 Northern Lighting decided to relaunch this Norwegian design treasure. Its uniquness lies in the combination of simplicity of form and a well preserved indirect method of exposing light, creating a bright but warm atmosphere. It looks simple, but is elegant and decorative as a single item, and is even more so when several are combined in vertical or horizontal groups. The new heat-treated copper versions all vary in surface colour and material structure, with oxidation and time further changing the appearance, making them unique and individual objects. Active since the 1950s, Sven Ivar Dysthe (1931 – ) began working internationally from the start of his career. Dysthe trained as a cabinet-maker before leaving his native Oslo for London, where he received a degree in industrial design from the Royal College of Art in 1953. During his final year, Dysthe was asked to create a luxurious wooden chest for the college to present to Queen Elizabeth II in honour of her coronation. Dysthe returned to Oslo and established his own design studio in 1958, and began exporting his furniture in the early 1960’s. Since then, Dysthe’s work has received a number of national and international distinctions, including a Golden Medal award at the Ljubljana Triennale for his Laminette chair, a prestigious Japanese G-Mark for good design and the Norwegian Classic Award for Design Excellence. Dysthe’s works have been collected by national institutions, such as the Victoria & Albert Museum in London, the National Museum in Stockholm and the National Museum in Oslo. Dysthe’s Butterfly wall lamp, designed in 1964, continues to be produced and exported today. Like many of Dysthe’s designs, Butterfly is as popular abroad as it is at home.